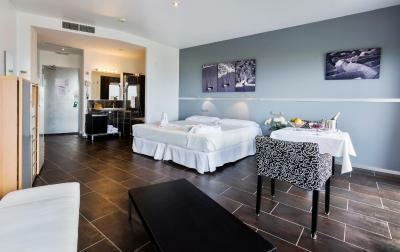 Lock in a great price for Mazagonia – rated 8.3 by recent guests! We had peace and quiet throughout our stay. The staff were very helpful and friendly. 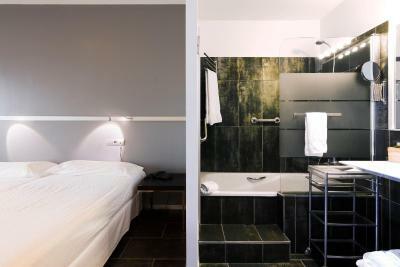 Gorgeous hotel, stylish and clearly thoughtfully designed to make the most of the views and attention to detail . I loved it! The pool area is amazing, breakfasts delicious and supper in the restaurant was fabulous (far better than the supper we had in the local town Mazagón the night before). Over looks miles of beautiful beaches than can be reached in 5 mins walk. Excellent value for money destination. Lovely room with balcony. Bed was comfortable and the room was clean. 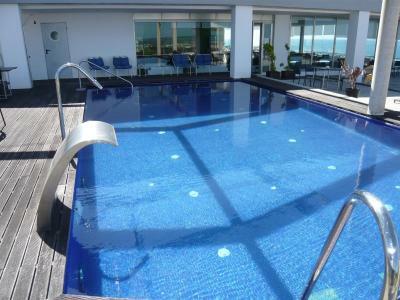 Nice pool area with plenty of seating on the upper floor and lovely lawned garden with outside bar. Very good setting. 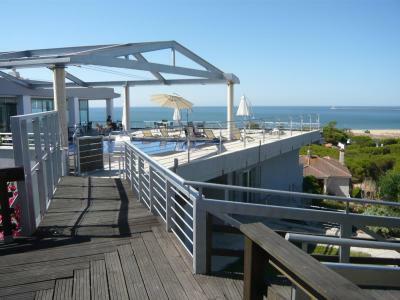 Comfortable room with good balcony overlooking the sea. Very easy parking. Best to walk 20 minutes to get a reasonable choice of restaurants. (Easy walk) Lovely beaches very nearby. Nice view of the ocean from all rooms. Quiet location. Friendly staff. 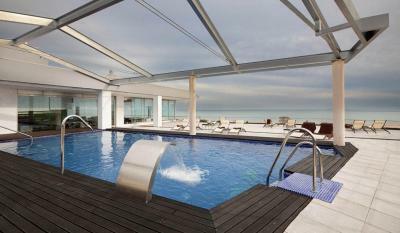 Charming hotel with attentive staff set in glorious surroundings outside Mazagon. Mazagonia This rating is a reflection of how the property compares to the industry standard when it comes to price, facilities and services available. It's based on a self-evaluation by the property. Use this rating to help choose your stay! One of our best sellers in Mazagón! 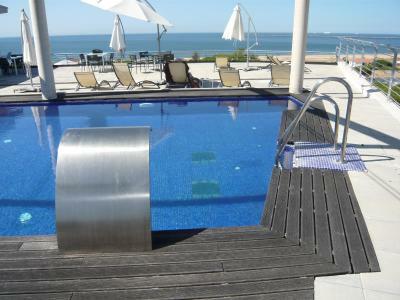 Mazagonia has an outdoor pool and terrace with wonderful sea views. Each air-conditioned room at this design hotel offers a private balcony, a mini-bar and free Wi-Fi access. 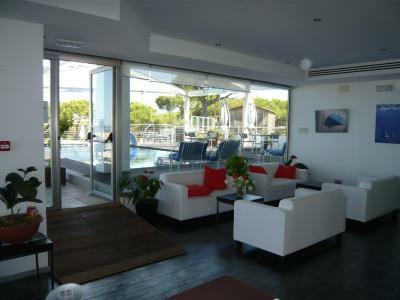 Mazagonia is set in a 131 ft² pine forest on Andalusia’s beautiful Costa de la Luz. 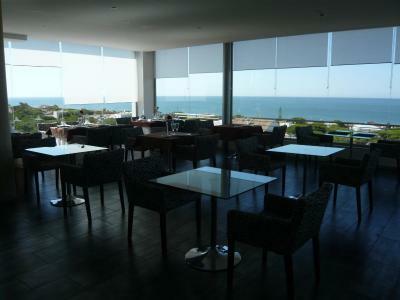 It is a 15-minute walk from Mazagón Beach and the marina. The Doñana National Park is also nearby. Free private parking is available on site. Rooms at the hotel are spacious and elegant. They all have views of the sea. 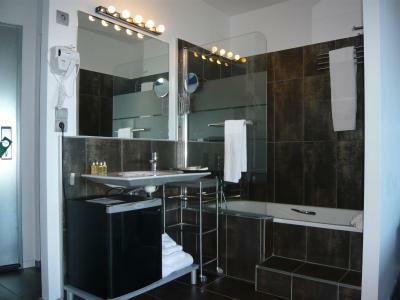 They also have a private bathroom, with bathrobes and a hairdryer. Hotel Mazagonia has a bar and guests can dine at the El Médano de Mazagonia restaurant. There is also a garden and a children’s play area. The hotel has a tour desk, and can arrange car or bicycle rental. Transfers to the train station can also be arranged for a supplement. 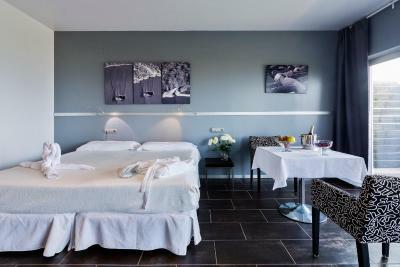 When would you like to stay at Mazagonia? 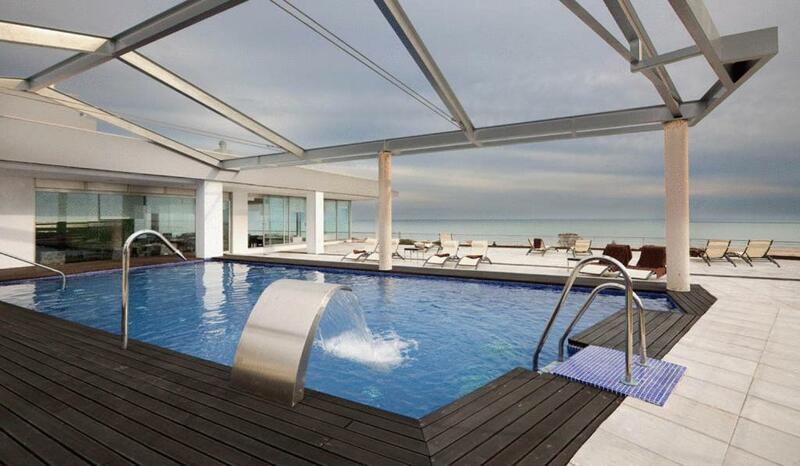 These spacious, elegant rooms have a balcony. 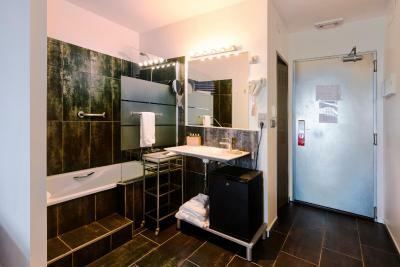 They also have a private bathroom, with bathrobes and a hairdryer. Please note that double beds are subject to availablity. 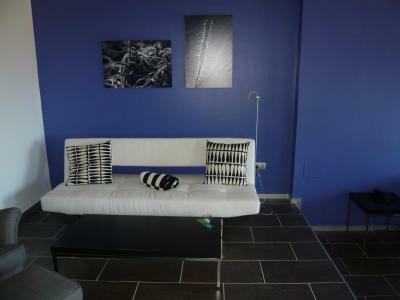 This more spacious room includes a seating area with a sofa bed. 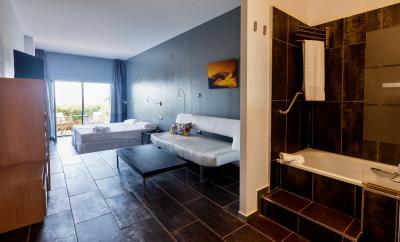 These spacious, elegant suites have a balcony, a living area and a private bathroom, with bathrobes and a hairdryer. House Rules Mazagonia takes special requests – add in the next step! Mazagonia accepts these cards and reserves the right to temporarily hold an amount prior to arrival. The beds could be comfier, our bed was a little hard. 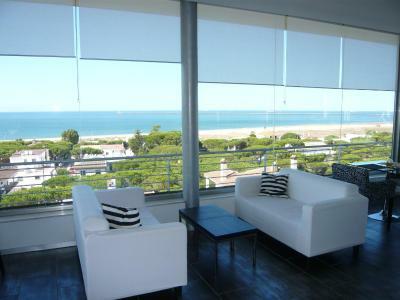 We chose this property because of it's proximity to Parque Doñana and the Parque Minero de Rio Tinto. The hotel is amazing however the town of Mazagon wasn’t quite so nice! There is nothing wrong with it but just not many reasons to go there. We were there out of season and it has a slightly deserted feel to it. Several tapas bars but none spectacular. Eat in the hotel instead! Variable pricing policy. Too expensive, as the hotel was empty and the non-refundable pre-payment rate for Room Only, which should have been cheaper, was more than €100 higher than the rate for a better room with breakfast included advertised on the week of our stay. Despite very good facilities there was no feeling of hospitality. If out after midnight guests had to telephone to be let in. Although mid June hotel wasn't totally prepared for the season. There was no separate bathroom in room. Hotel furniture and fittings a little worn; need upgrading. Mazagón not a very interesting place. The breakfast could have been better. Choices were limited with no hot options unless you paid extra which didn't really represent good value for money. Great location for us. Having docked at Huelva very late at night this was the perfect, easy access location for a night's rest before our onward journey. 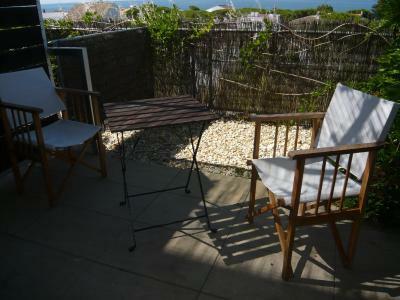 Stylish and über comfortable room with views across the beach and a good shower. Broadband not easy to use and unreliable connections. Views and quality of accommodation.